Piroon is a Partner in the General Corporate Commercial Practice of R&T Asia (Thailand) Limited. Piroon is a licensed Thai lawyer. 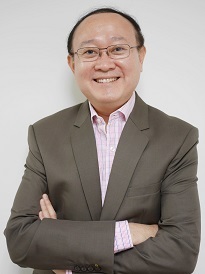 Piroon Saengpakdee focuses his practice on project development and finance, including banking and finance, debt restructuring and insolvency, as well as employment law matters. Prior to joining Rajah & Tann, Piroon spent more than twenty five years in international law firms in Thailand. He has represented both major Thai banks and foreign lenders in transactions involving a wide range of industries in Thailand, Lao PDR and Myanmar: energy and resources, infrastructure, manufacturing, as well as telecommunications and technology companies. Piroon has substantial expertise in debt restructuring and insolvency proceedings, having advised creditors and debtors in restructurings involving companies in industries sectors such as telecommunications, infrastructure and real estate. Prior to commencing his private law firm legal career, Piroon spent time with the Council of the State and the Department of Labour Protection. THB 1,320 million financing of a real estate developer in Thailand. including various financings of a payphone project in Thailand, a flight services provider, an air ground handling company, a hospital group, an automotive assembly plant, an energy company, and a brick and tile manufacturer. Advised a government bank on financing of various business ventures associated with real estate, hospital and services. Advised the lead arrangers on the provision of finance to a major mobile telecommunications company in Thailand. Advised a Thai Bank, the lead arranger on the THB 7 billion financing of a telecommunications company. Advised a Thai bank on the provision of finance to a green power project. Advised a Thai bank on the provision of finance to a subsidiary of a major Thai conglomerate in China. Advised lenders on the provision of finance to a Thai petroleum pipeline company. Advised lenders on the provision of finance to a seafood storage company. Advised lenders on the provision of finance to a group of hotels and resorts. Advised lenders on the provision of finance to an alcoholic beverages company. Advised lenders on the provision of finance to an international terminal operator. Advised a listed tollway operator on its financing and bond issuance. Advised a solar energy company on its financing. Advised a Thai steel company on its financing. Advised a Thai bank on the debt restructuring of a major Thai public listed company. Advised a foreign creditor and a group of Thai banks on the restructuring of a Thai public listed manufacturer. Advised a commercial bank in Lao on their financing of a casino project. Advised a Thai bank on their financing of a duty free shop project. Advised a Thai bank on their financing of an import-export company. Advised Thai banks on their financing of a major Thai conglomerate. Advised Thai bank on their financing of a car distribution company. Advised a Thai bank on their financing of an auto leasing company. Advised a Thai bank on their financing of a logistics company. Advised a Thai bank on their financing of a packaging and bottling business. Advised a project owner regarding a special commercial and economic zone. Advised a major Thai conglomerate on their agricultural business. Advised an electricity-transformer manufacturer (a listed company in Thailand) regarding their investment. Advised Thai banks on preparing their standard forms of banking and commercial transaction. Advised a Thai bank (Vientiane Branch) regarding a land and building lease agreement. Advised a Thai bank on their pre-financing of a submarine cable business in Myanmar, Thailand, Malaysia and Singapore. Advised Thai banks on their financing of a major Thai conglomerate in doing their agricultural business in Myanmar. Advised creditors on a loan restructuring agreement in respect of a Thai listed telecommunications operator. Advised creditors on a loan restructuring agreement in respect of a transportation company. Advised creditors on a loan restructuring agreement for a real estate developer. Advised creditors and the committee for the amendment to the business reorganization plan of a real estate developer. Advised on the business reorganizations of various companies, such as Narong Seafood Company Limited; PAE (Thailand) PCL; Sand & Soil Company Limited and three of its subsidiaries; Sino-Thai Engineering & Construction PCL; STA Group PCL; Thai Petrochemical Industry PCL; Inter Far East Engineering PCL and Unicord PCL. Advised International Bank for Reconstruction and Development (World Bank) and International Finance Corporation on commercial agreements. Advised various multinationals and Thai conglomerates on employment law issues in Thailand, including disputes and the preparation of work rules.